Counseling Today is the monthly magazine of the American Counseling Association (ACA). 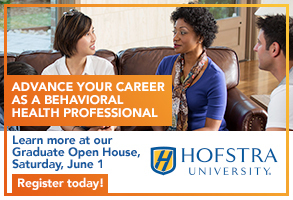 Our mission is to serve individuals active in professional counseling, regardless of setting or specialty. Counseling Today will review unsolicited articles written by ACA members (nonmembers are welcome to serve as co-authors). We publish these articles under the heading of “Member Insights.” Please keep in mind that Counseling Today is not an academic journal and does not accept articles written in an academic style/tone. Above all, we are interested in articles that offer practical, how-to information that counselors can use in everyday practice with their clients or in their own professional/personal development. We are less interested in opinion pieces, personal essays and reviews of the literature. In considering contributions for publication, the editor weighs space limitations, the relevance of the material to ACA and the professional counseling community, and how frequently similar material has appeared in previous issues. All articles will be accepted or rejected based on the quality of the writing, the practicality and value of the content, and whether an article of a similar nature or topic has appeared in the past year. 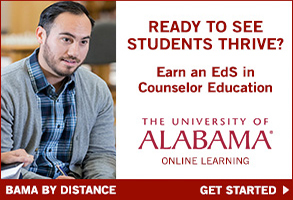 Counseling Today articles are generally 1,700-3,400 words. 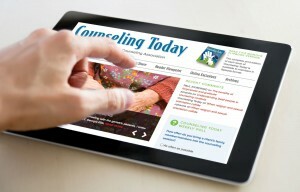 Shorter articles may be considered for our companion website, CT Online (ct.counseling.org). Submissions from ACA members are accepted throughout the year and are normally published in the order they are accepted. Please note that not all submissions are accepted for publication. Submissions may be accepted or rejected at the discretion of the editor-in-chief. These articles should be written from a strong personal viewpoint and level of expertise. If a particular treatment approach is being advocated, authors should dedicate part of the article to presenting research that provides empirical support for the effectiveness of the approach or perspective. If no research currently exists to support the approach, that should also be stated in the article. 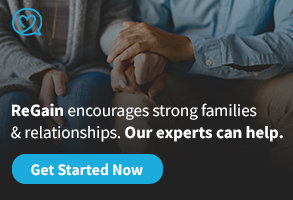 Counseling Today articles adhere to Associated Press style (article authors do not need to be familiar with this style to submit an article, but understand that articles accepted for publication will be edited to conform to Associated Press sytle). The main point to remember regarding Counseling Today style is that articles should be written in a reader-friendly manner rather than relying on jargon and academese. Counseling Today is a magazine and not a scholarly journal. Unlike refereed journals, Counseling Today articles do not contain citations, footnotes or reference lists. Instead, if a particular idea, thought, quote or theory needs to be attributed to a specific person or organization, include that attribution within the natural flow of the article (for example, “According to a study published by researcher Susan Smith of the Substance Abuse and Mental Health Services Administration in 2003, nearly 50 percent of people who seek counseling …”). When citing a source’s name within an article, provide the person’s first and last names on the initial reference; after that, it is fine to use only the last name. Copy must be accurate. 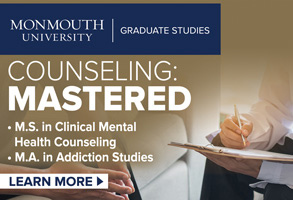 Counseling Today does not assume responsibility for the accuracy of quotes, facts, figures or names in submitted copy. Before submitting material, verify the spelling of names, titles, countries and institutions. Use full names of organizations and agencies when first mentioned; abbreviations or acronyms may be used on second reference. Verify titles and quotations from printed sources. Confirm any deadline dates in your copy. If information that can be easily checked is inaccurate, the article will be subject to rejection. Please send all articles as a Word attachment via email to Jonathan Rollins, Counseling Today editor-in-chief, at jrollins@counseling.org. There is no need for fancy formatting. A single-spaced draft with a suggested headline and section headings will suffice. The primary author must be a member of ACA. Please provide your ACA member number when submitting an article. Headlines and section headings may be rewritten by the Counseling Today staff. Articles are subject to editing to meet space, grammar and style requirements. Authors whose material appears in Counseling Today are free to use the material elsewhere for educational purposes. 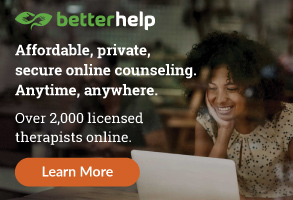 In such cases, an appropriate credit line is: “Reprinted with permission from Counseling Today (ct.counseling.org), the monthly magazine of the American Counseling Association (counseling.org),” month, year. Please include the volume and issue numbers as well (found on the cover of each issue). Authors whose material has been published elsewhere before being submitted to Counseling Today are asked to inform the editor-in-chief at the time of submission and provide appropriate documentation from the copyright holder granting permission to reprint the material. For additional questions regarding submitting articles to Counseling Today, email Jonathan Rollins at jrollins@counseling.org.